Sri Avadhutendra Saraswathi Swamiji has dedicated his life for the spiritual upliftment of the masses through Bhagavannama Sankeerthana. 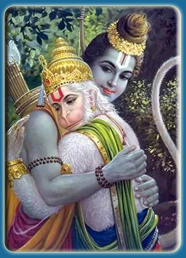 He was born on November 28th, 1914 at Attili Village of West Godavari district in Andhra Pradesh to God-fearing couple, Pemmaraju Hanumanlu and Pallalomma who were known for their munificence. He was named after Lord Visweshwara of Kasi since he was born after their parents returned from their pilgrimage to Kasi. Following the footsteps of his father, he had developed a taste for devotional songs and bhajans from his childhood. Besides that, he was bestowed with melodious voice. At the age of ten, while staying with his elder brother at Narasraopet, he participated in a Krishna Leela drama. His role as Krishna won him laurels. From then onwards he took to acting and toured the state with popular drama troops. In every role he played on the stage the accent was on devotion to God.